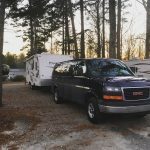 We’ve traveled a lot of miles over the past four years of RVing with our kids and we’ve seen a lot of amazing places. 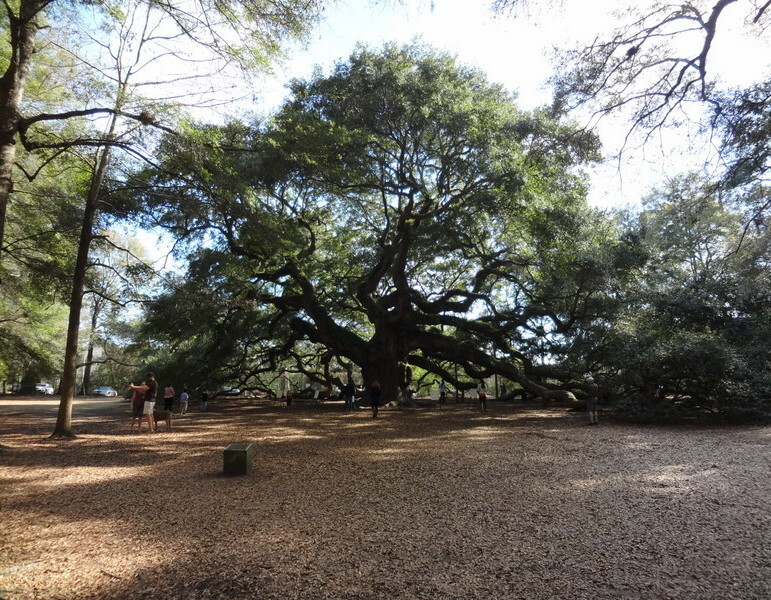 But every so often we stumble upon spots that capture our hearts and leave us yearning for the next time we can return. 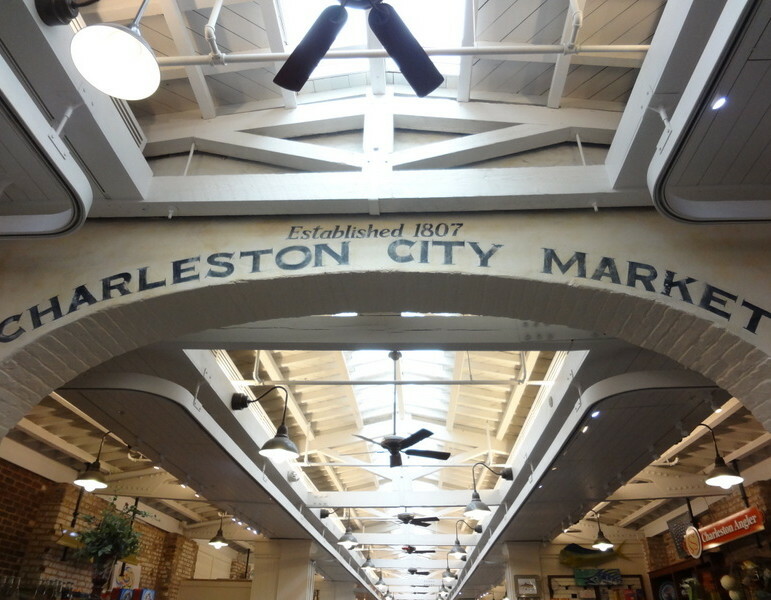 Charleston has been one of those places for our family. 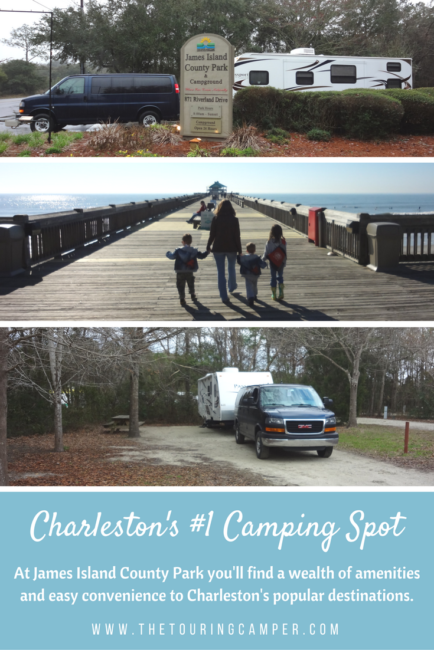 When we first visited nearly four years ago, we knew Charleston and James Island County Park Campground was a place we’d want to return. 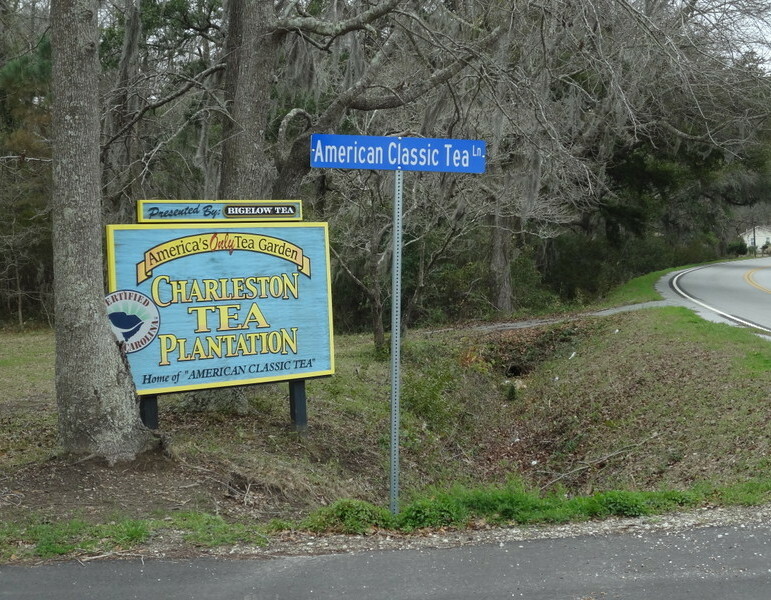 So when we needed to make a change to our winter travel plans a few weeks ago, Charleston was calling our name. 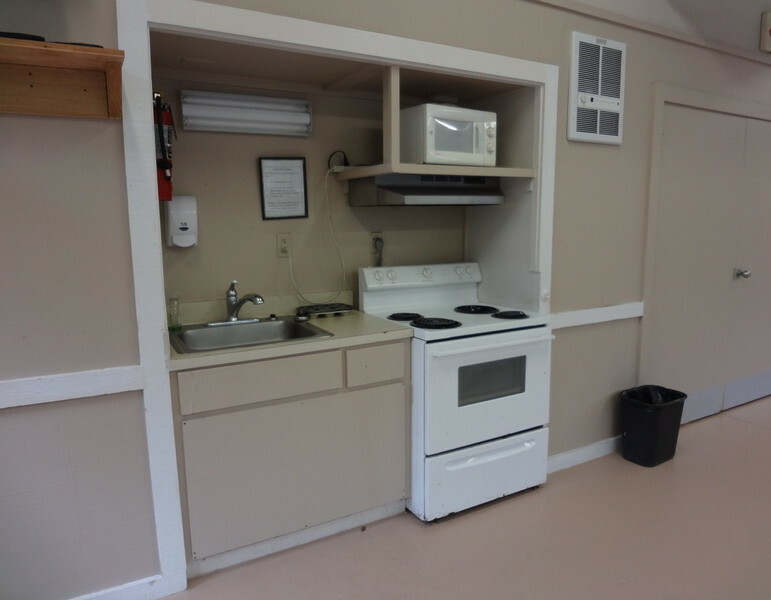 Little did we know when we made those reservations that this visit would be just as memorable as the last–but for entirely different reasons. 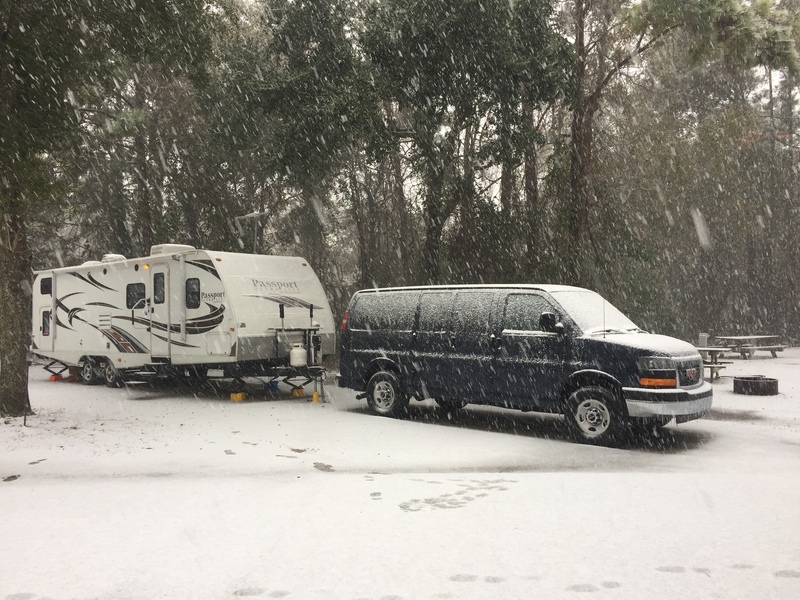 The timing of our visit to Charleston this year just so happened to coincide with unusually low temperatures … and then the arrival of Winter Storm Grayson. 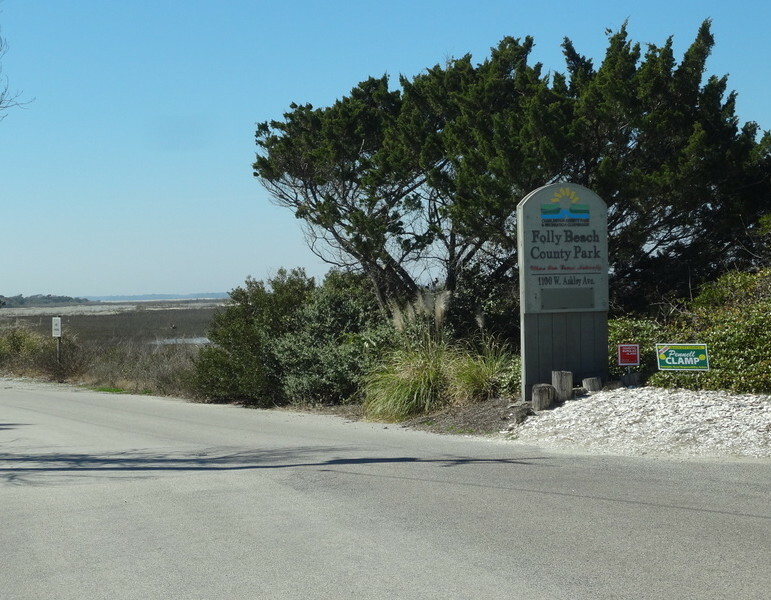 (It seems we have a penchant for attracting cold and rare weather … which was also the case last year during our winter adventure to Texas.) 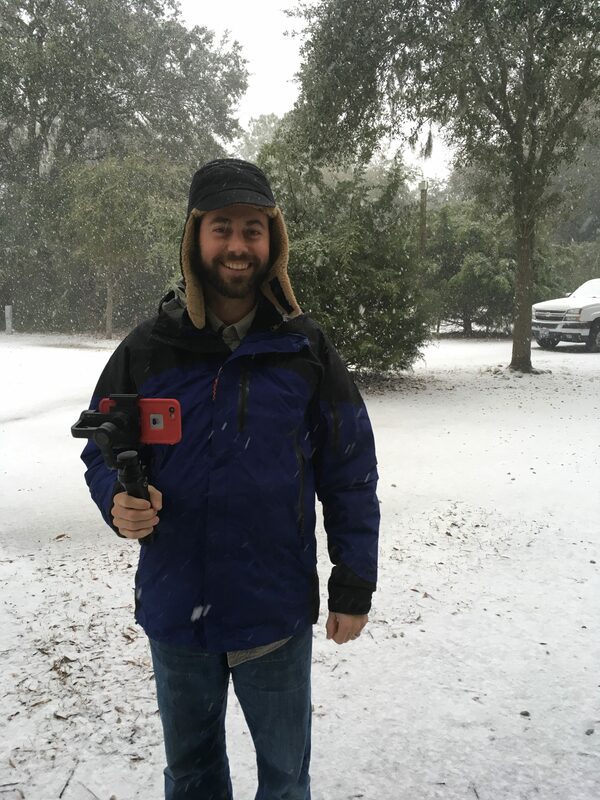 According to the National Weather Service, more than 5 inches of snow fell on Jan. 3, 2018, making it the third snowiest day on record in Charleston. 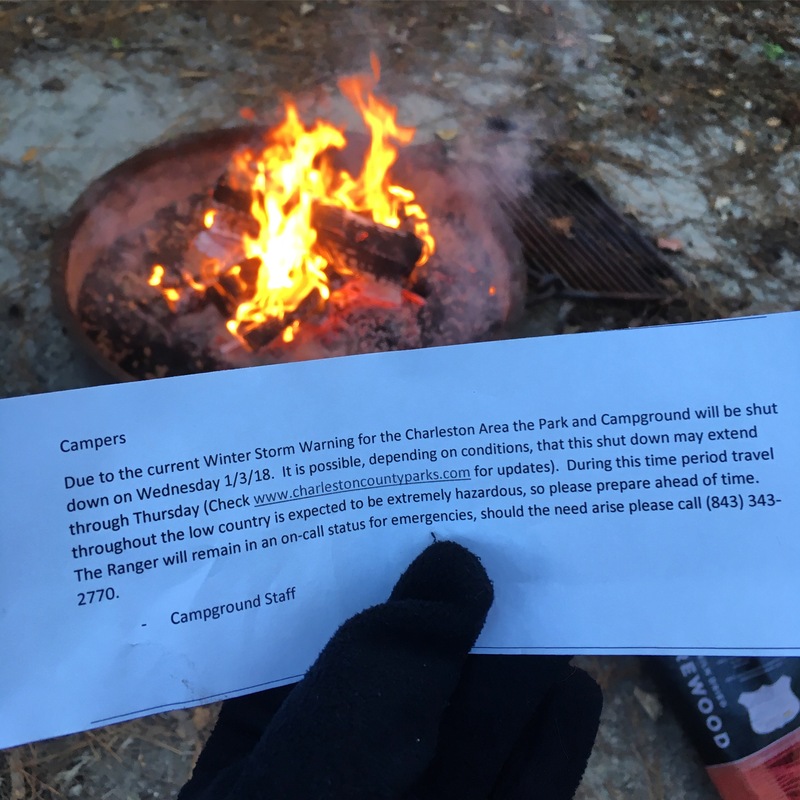 So while the entire city of Charleston came to a halt, our family and a few other brave souls hunkered down at the campground. 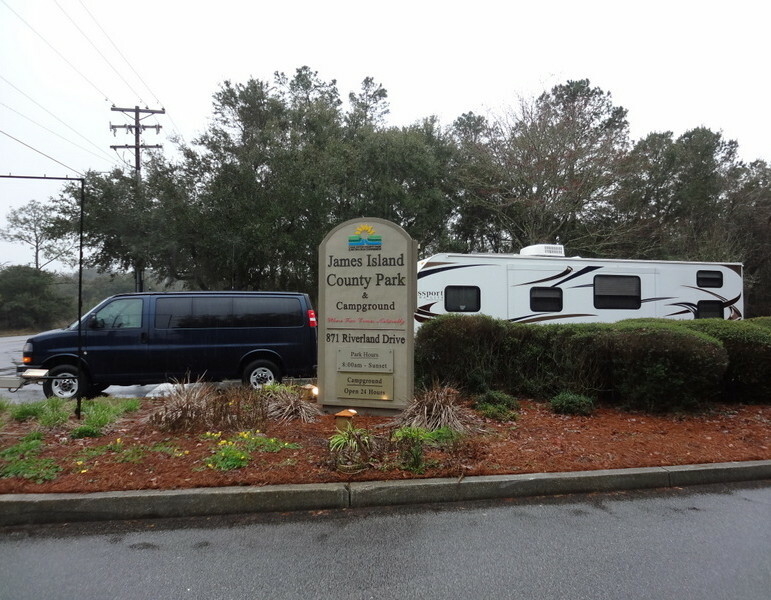 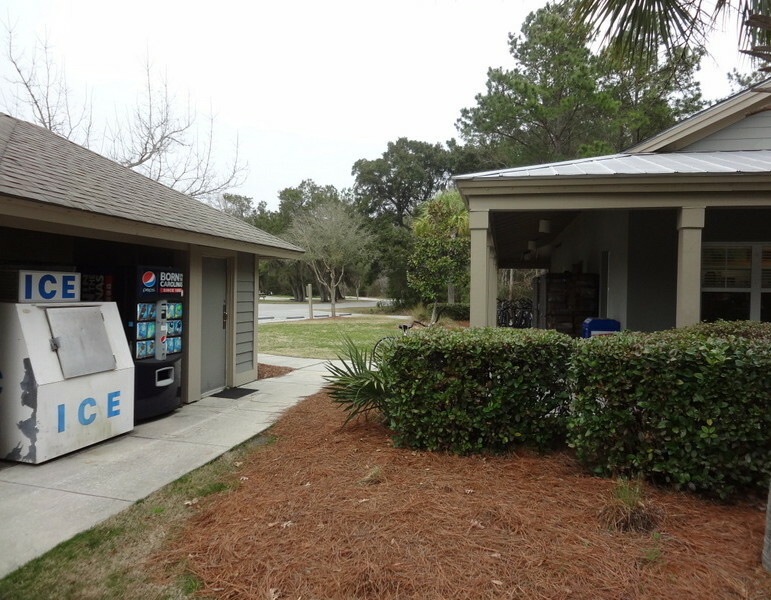 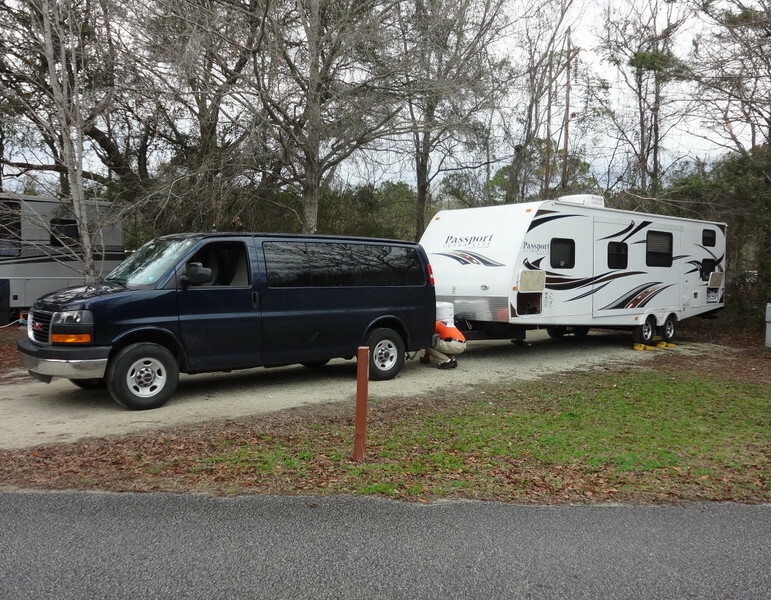 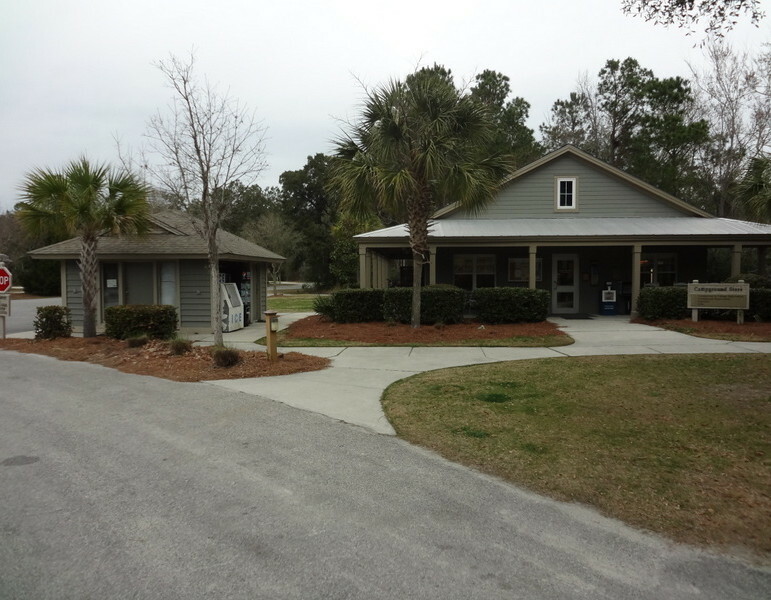 We obviously spent a lot of time in the camper this visit, but when it’s not suffering under the effects of ice and snow, James Island County Park Campground in Charleston, S.C., is one of most conveniently located campgrounds that we have ever stayed at. 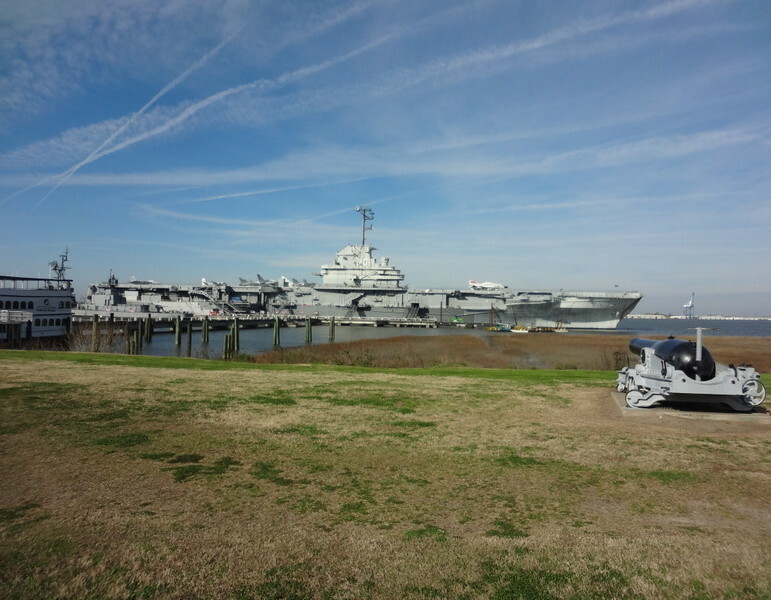 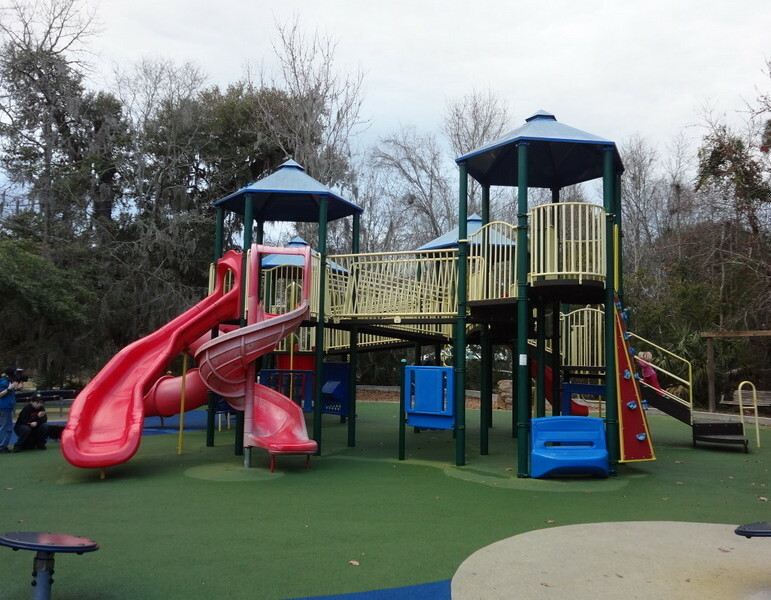 The park is not far from downtown Charleston and a whole host of attractions, and yet the park is tucked away in a peaceful, quiet setting. 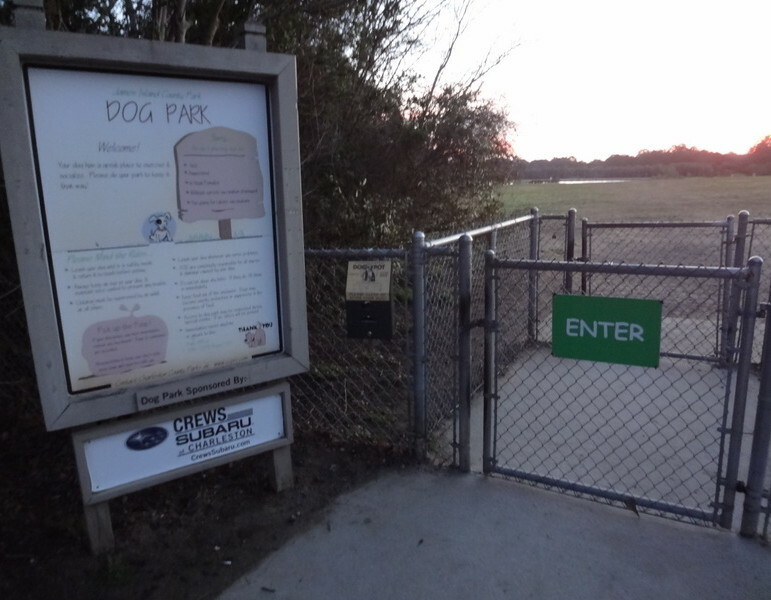 The first thing to know about this park is that you should not follow your car’s GPS instructions. 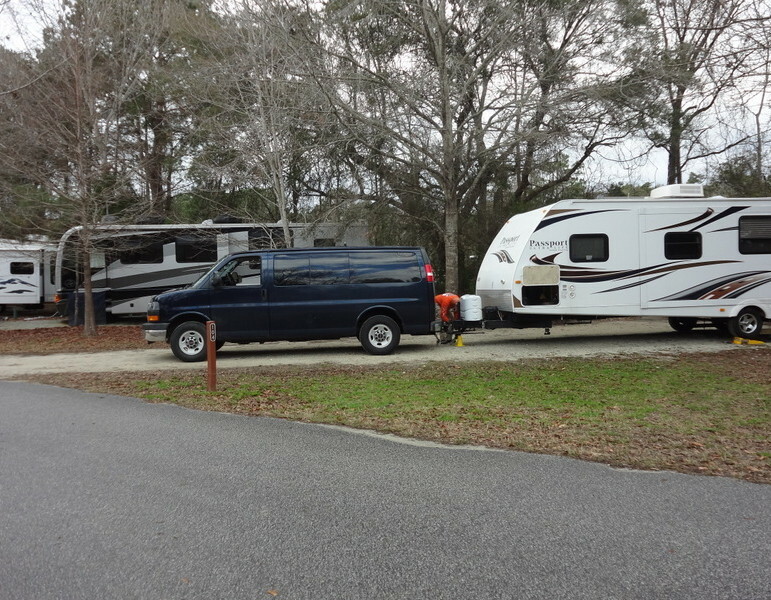 Trust me–one neighborhood we drove through was NOT made for campers! 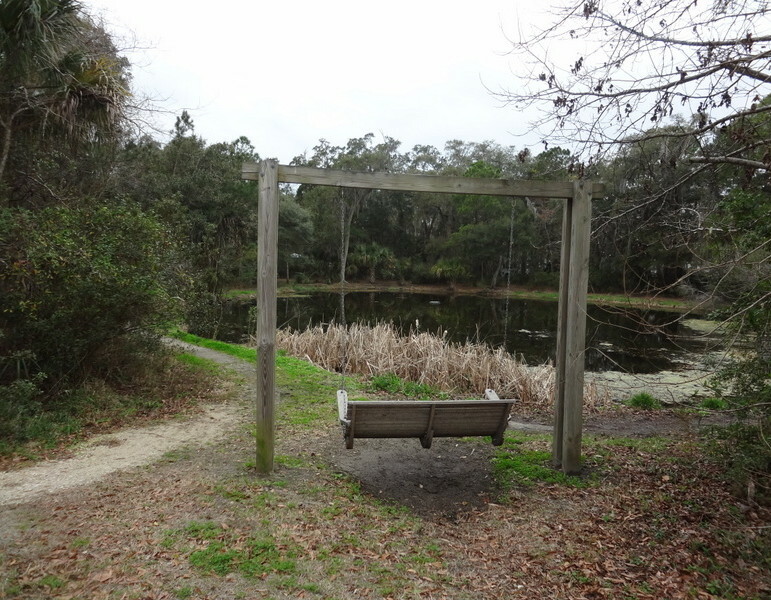 Instead, follow the James Island County Park brown signs. 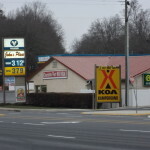 I suggest using Route 700 and then going south on Riverland Drive. 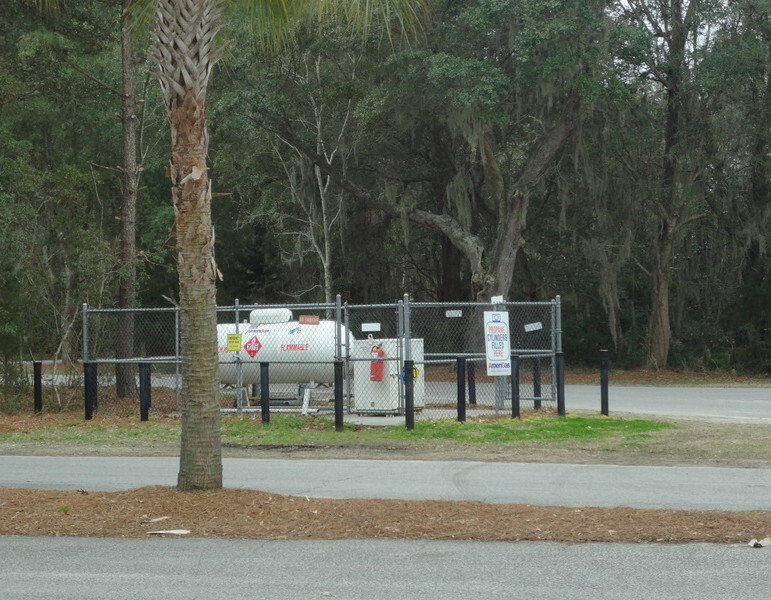 Additionally, while there are many gas stations in the area, the ones we passed in the immediate vicinity of the campground were NOT designed for RVs or travel trailers, so make sure to fill up near the highway or when you are unhooked. 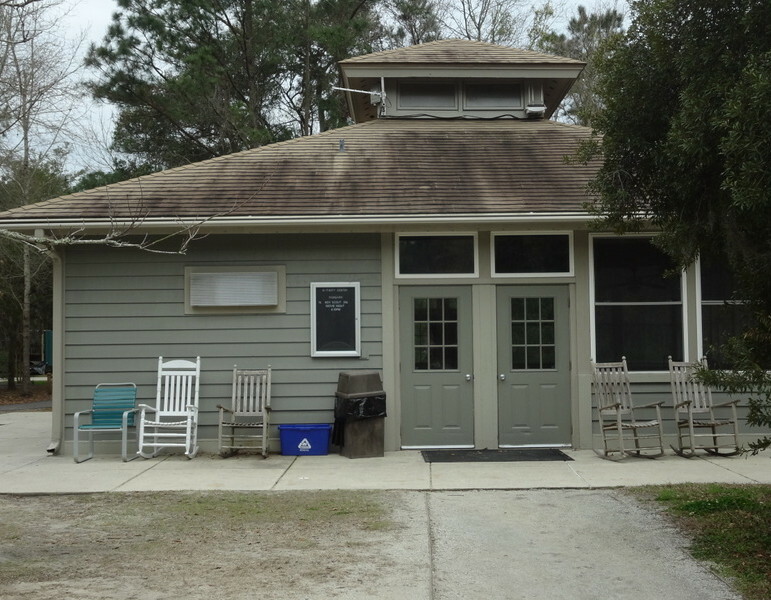 Once you drive into the park, the friendly attendants at the guard house will direct you to make a right turn just past the guard house. 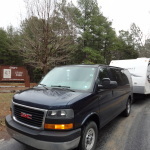 During heavy traffic times, this can be a tight turn for large campers and RVs. 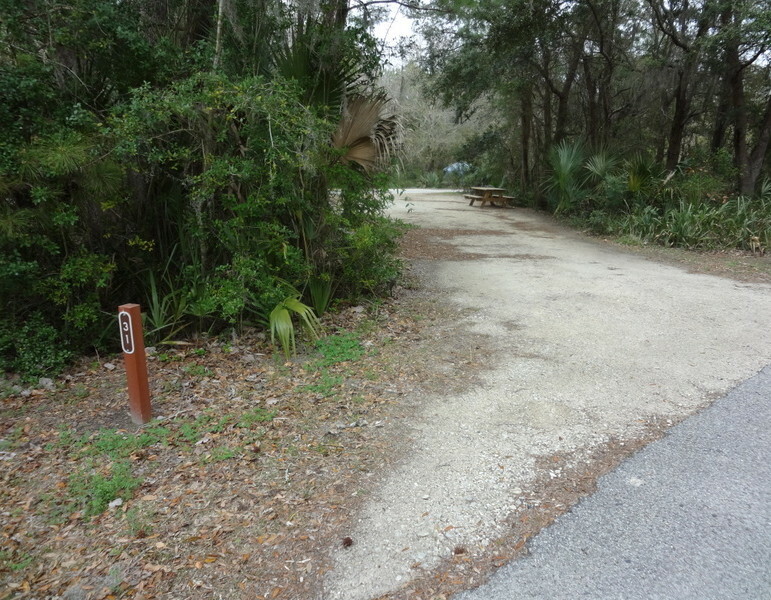 One other option is to go straight and loop around the park to see all it has to offer and then you’ll be conveniently positioned to turn left onto the park road. 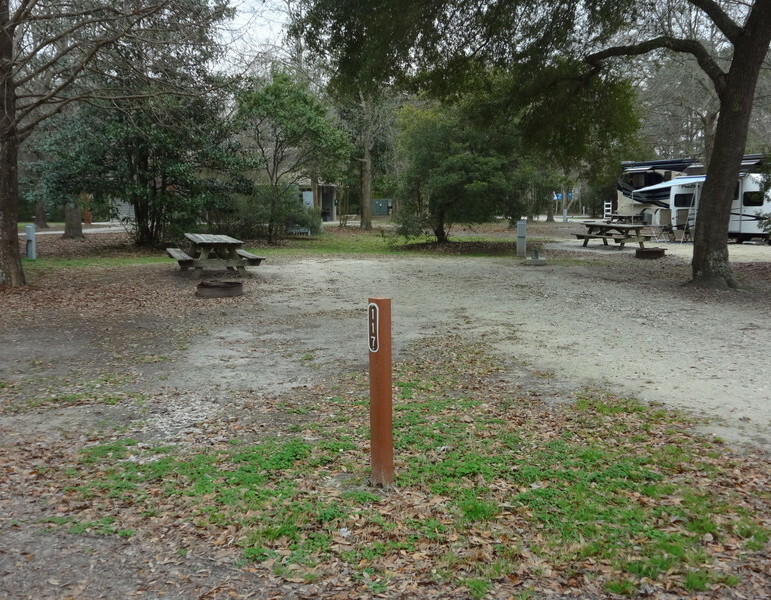 The campground itself has several amenities that you would normally only find at an RV resort, yet this park is run by the county. 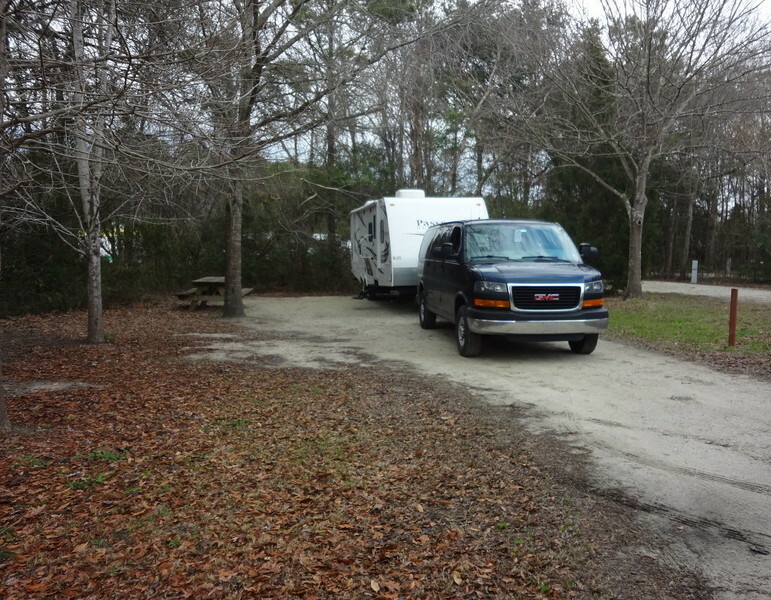 The campground was very clean and well maintained with many of the sites having a good deal of vegetation between them to make the sites more private. 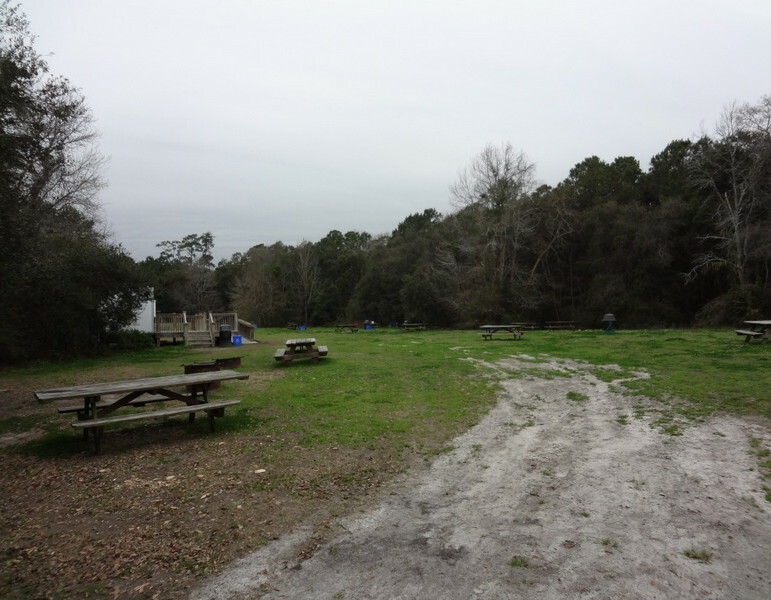 The James Island County Park website includes pictures of every campsite in the campground, which was very helpful in selecting a spot. 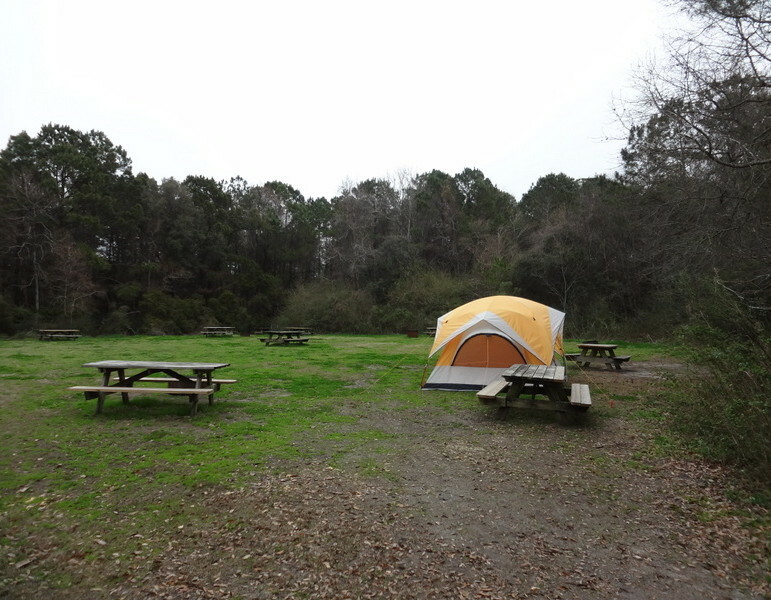 If you are camping with family or friends, the campground offers several paired “buddy” sites. 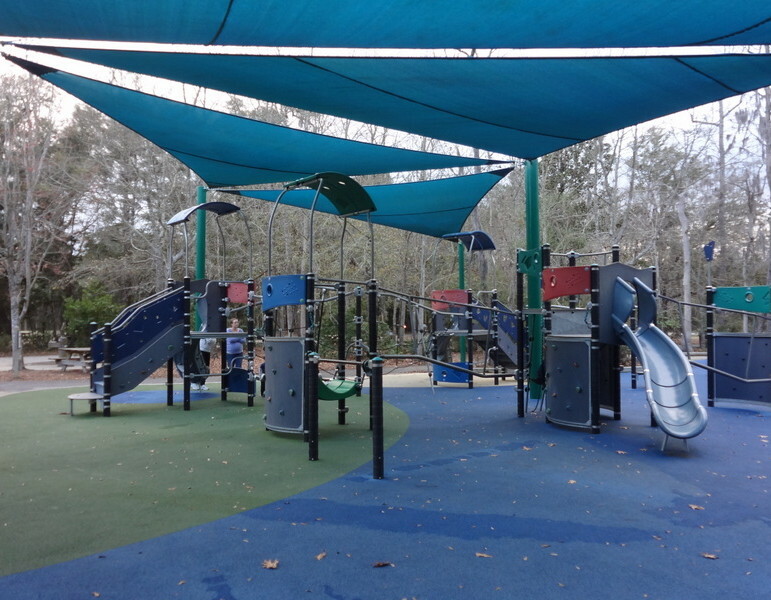 Shade areas to stay out of the hot sun during summer months. 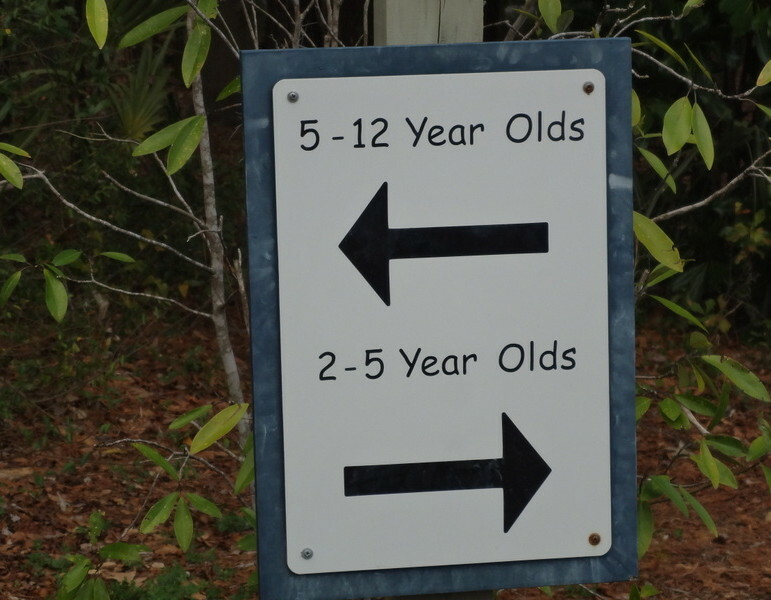 Play areas designated by age and difficulty. 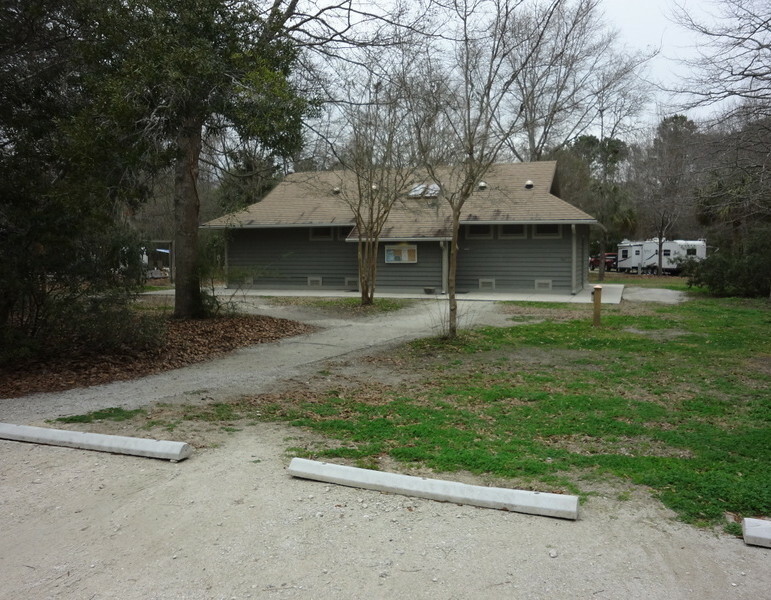 Large breed dog park with access to a lake swimming area. 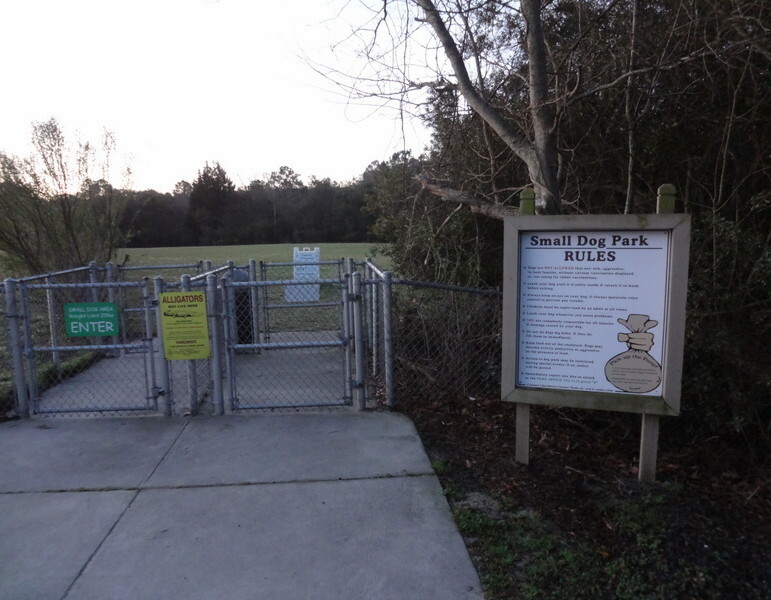 Small breed dog park with access to a lake swimming area. 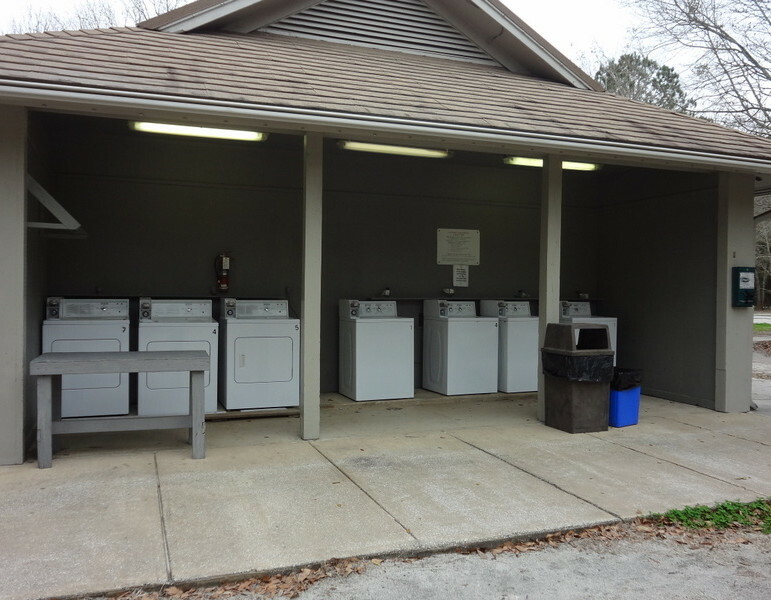 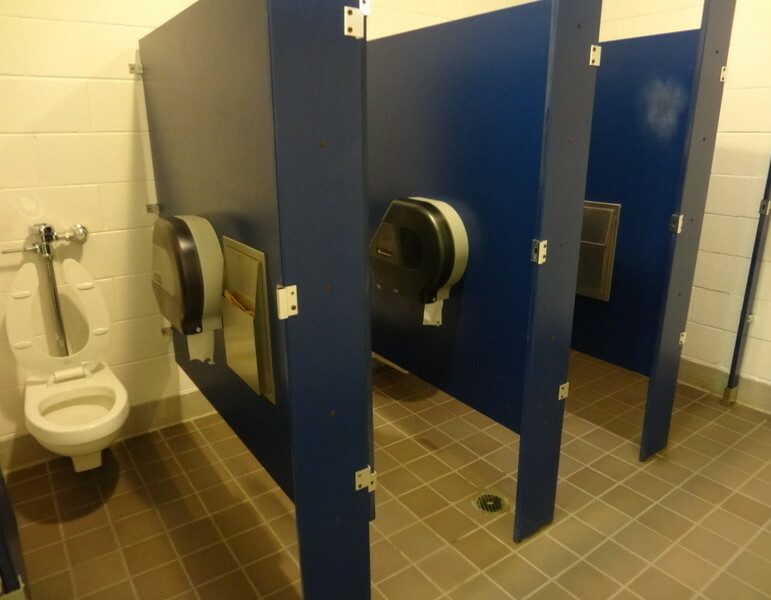 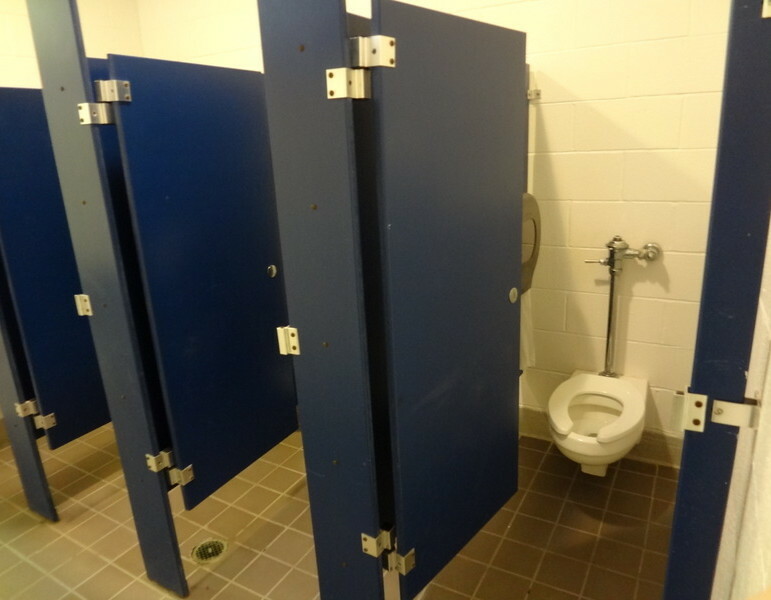 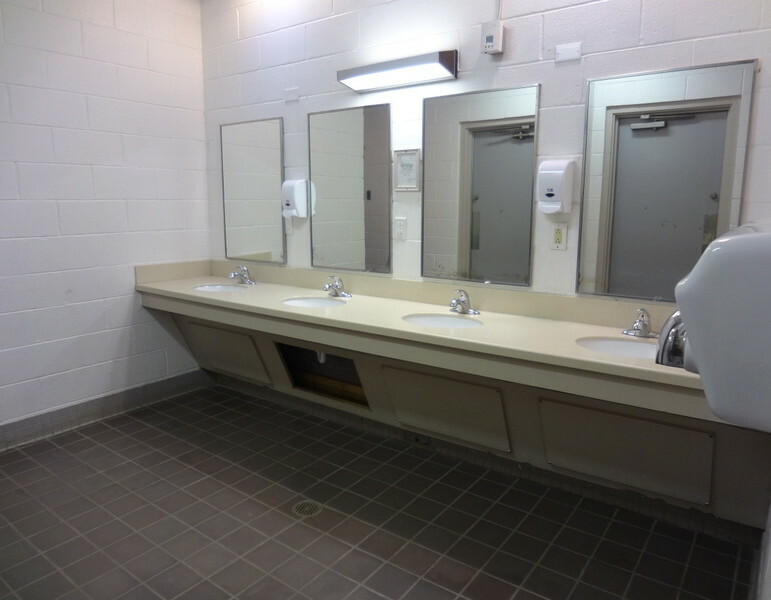 On our first visit we found the bathrooms to be clean and in good repair, but they were not heavily used since all sites at the campground have full hook-up connections. 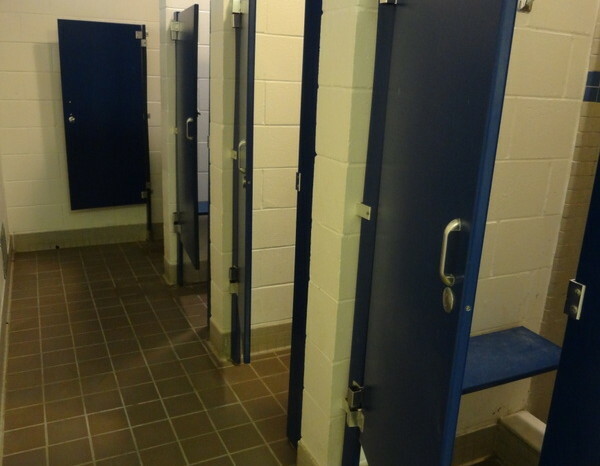 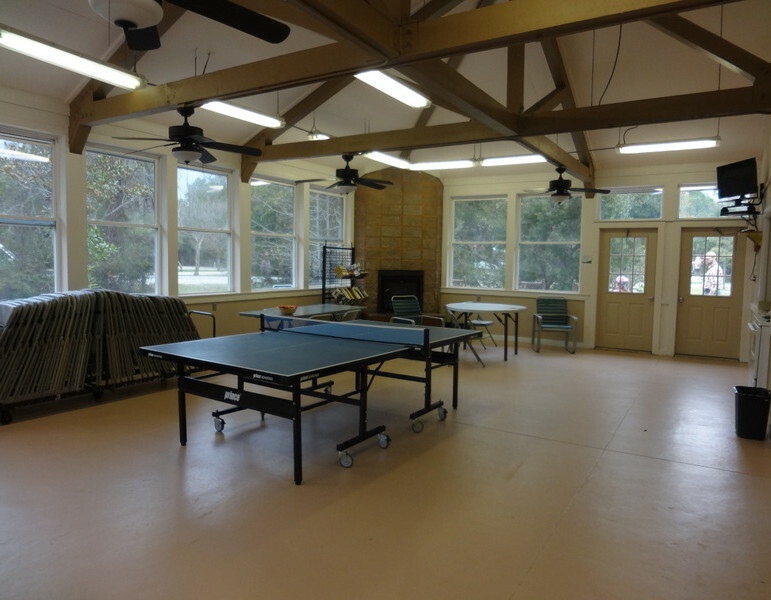 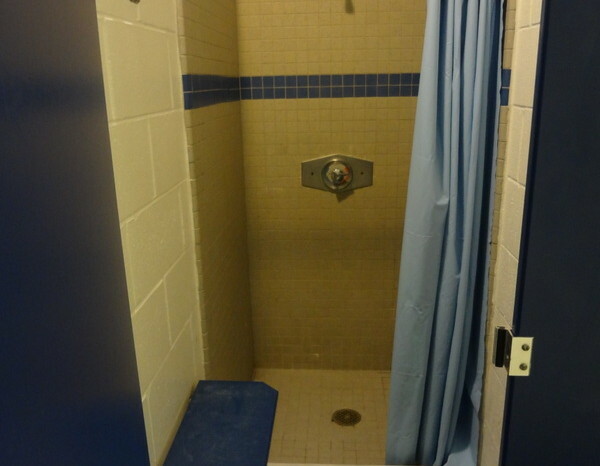 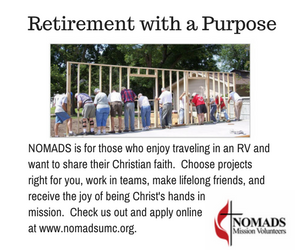 At the time of our latest visit, the bathrooms and laundry areas were closed for remodeling. 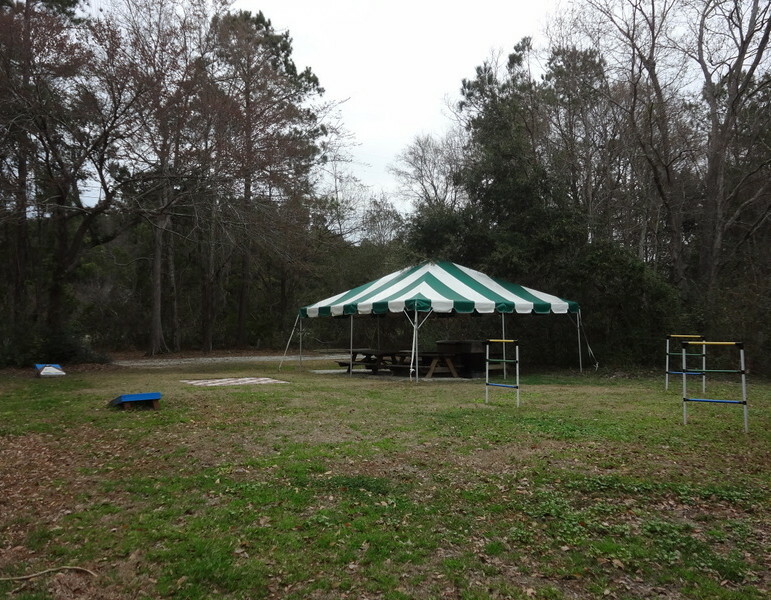 and a seasonal holiday light show. 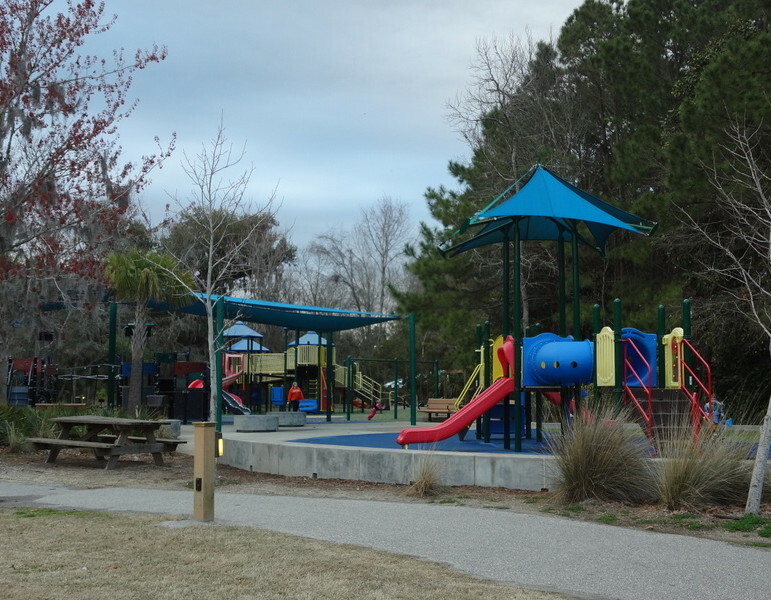 Once you leave the county park, Charleston and the surrounding area is one of the most family-friendly areas we have visited. 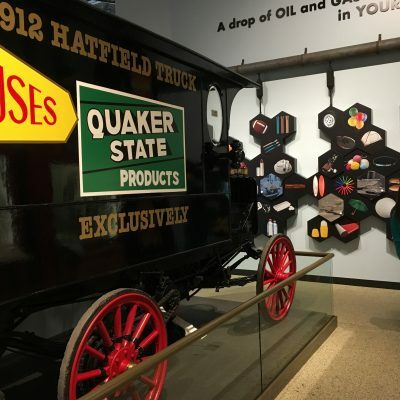 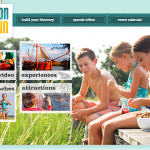 Those of you traveling with kids or grandkids should start your travel planning by going to the Charleston Family Fun webpage. 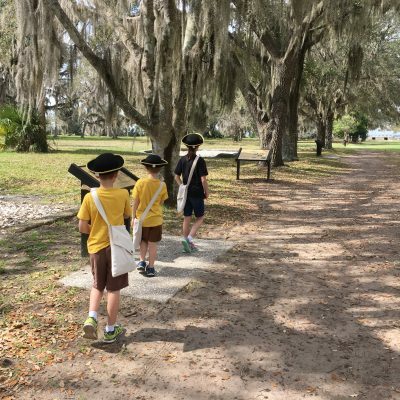 There you will find lots of resources and links to help you plan your visit. 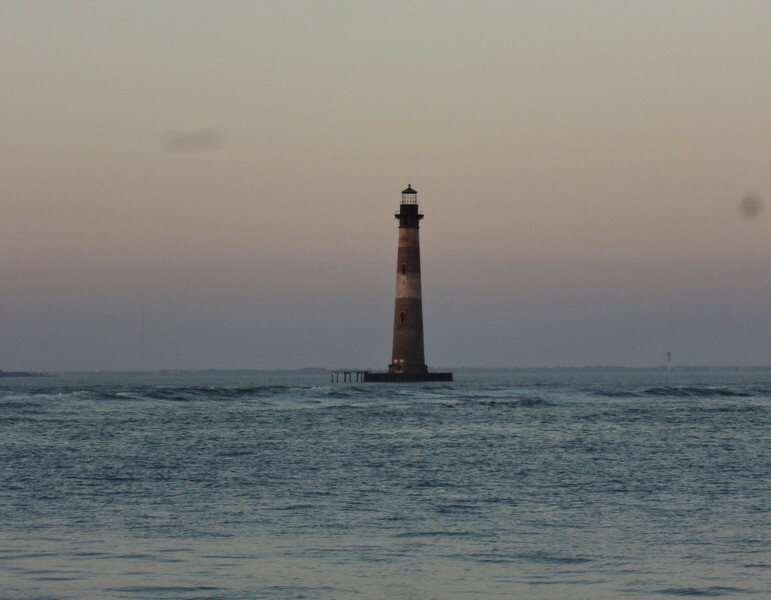 Folly Beach Lighthouse: a must see at sunset!